Pure and Simple to prepare. This hair treatment will help to repair dry, damaged hair, while it deeply nourishes and adds a glossy shine... leaving you with lovely locks. Equipment: Small bowl - fork - spoon - comb - 2 x towels - re-usable shower cap. Ingredients: remember to use local and organic ingredients when possible. Storage: For optimal results, it is best to use up all of this hair mask when freshly prepared, share with someone special if you have extra. Store unused mask in an air-tight container in the fridge for up to 2 days. 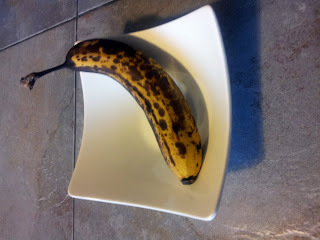 Avocado and banana naturally oxidize and darken in colour. This will not affect the mask but I recommend scooping off any brown section (which will be the top layer). 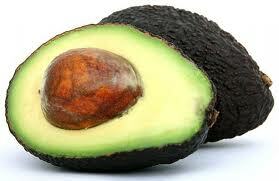 Take your ripe avocado and carefully slice it lengthwise, twisting it gently to separate the halves. Use a spoon to remove the pit. (Place one of the halves into an air tight container to use later for the Skin-Soothing facial mask... or a healthy snack). 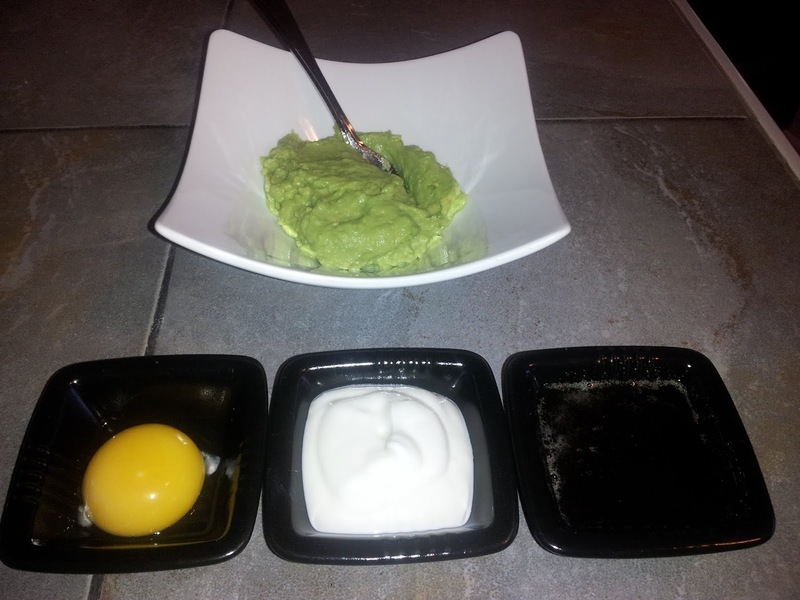 Remove the pulp of the avocado with a spoon, placing it into your bowl. Mash avocado with the fork until it resembles a creamy paste... it can take awhile to mash all of the lumps out, it is worth it as it helps to release more of the natural antioxidant oils. 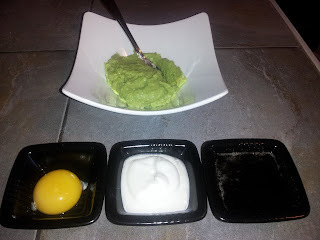 Slice up banana and mash with fork until smooth consistency, add to mashed avocado and blend. Add lightly beaten egg yolk and blend into mixture. Add yogurt and blend until fully incorporated and mixture has creamy consistency. 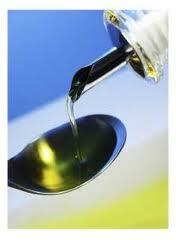 Add the virgin olive oil and blend into mixture until it is fully incorporated. 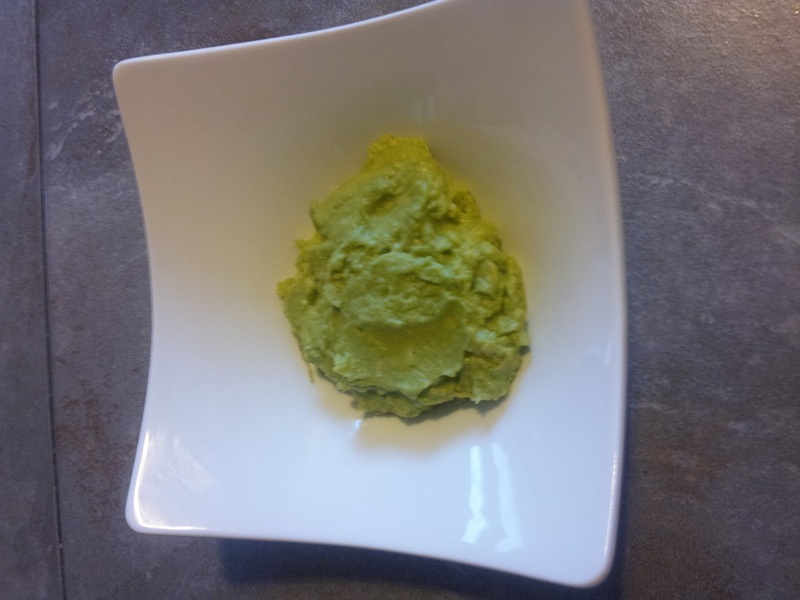 Application: Apply avocado mask to dry hair that you will be washing, following mask application. Cover your shoulders with an old towel, to avoid any spillage. Comb through hair to make it knot and tangle free. Remove a palmful of mask from bowl and apply it to roots and scalp, working your way down to the ends of your hair. Use your fingers to work the mask into your scalp and hair (using a comb will decrease the amount of product that penetrates the hair shaft, so use your fingers for this part). *If you tend to have an oily scalp, apply this mask to the lower half of your hair, concentrating on the ends. Apply a second coating to ends if you have particularly dry ends. Slick hair back, twist and clip up, if you have long hair. Pull on your trusty re-usable shower cap (for environmental purposes). Wrap a large towel over shower cap to create heat retention, which will increase the effectiveness of your hair mask. (You do not want to heat with hair dryer, as this can cook the mask - yikes). Sit back and relax for 20-30 min. Place a piece of heavy duty paper towel, over drain to catch any large pieces of the mask. Rinse hair thoroughly in lukewarm water (again, no hot water to avoid cooking the mask). Shampoo and condition as usual - finish with a cool water rinse. Apply every 3 weeks for deep conditioning. Purple Essentials Intensive Hair Tretament - for those times in between.